If you’re thinking of filing for divorce or have just separated from your partner, you may believe that lawyers and courts are inevitable. Not so. If it’s possible for you and your ex to work things out amicably in mediation, or if you don’t anticipate a big fight over assets and if you want to save money, a collaborative divorce is an option. Read on for more information on what it is and if it could be right for you. A collaborative divorce can take slightly different forms by state, but at its core it’s a divorce process that helps married couples avoid going to court. Couples choose to work together, with lawyers or with mediators, to reach an agreement on their own. Unlike a divorce that goes through the courts, neither party necessarily files a petition to divorce. Instead, both parties jointly sign an agreement—a contract or “participation agreement”—mutually agreeing to be bound by the process. It can be purely collaborative, with no other parties involved. In that case, just the couple signs the participation agreement. There are many websites, such as or Wevorce or GetDivorcePapers.com, that charge a fee to download forms or that have guides to walk you through what you’ll need to include. Most states put the basic forms for divorce filings online, but you may still have to go into a courthouse and file them in person. 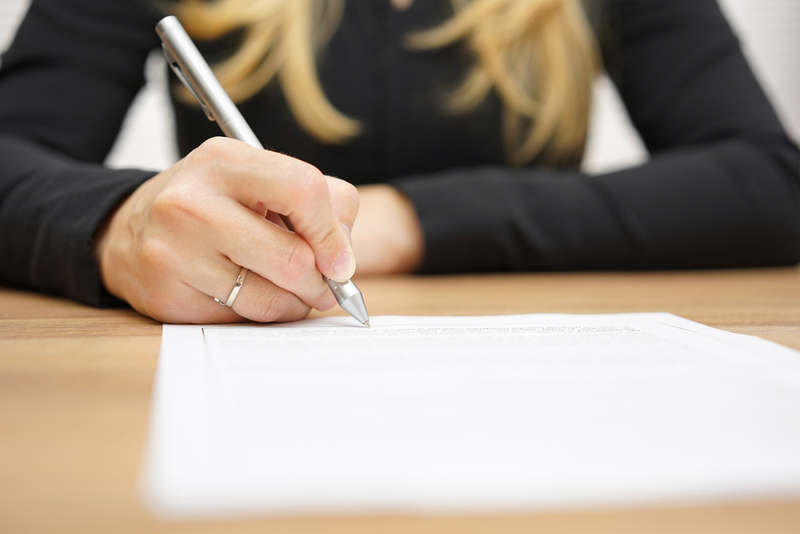 Your lawyers can also sign the agreement, with everyone agreeing to work together toward a settlement. A collaborative divorce consciously tries to avoid the “litigate and fight” model (with mudslinging, motions, and affidavits) of the past. Most family law attorneys also handle collaborative divorces, and some even prefer them after years of representing difficult, argumentative cases. If you’re a Solo Mom with a limited budget and reasonable trust in your ex, and think that both sides have the maturity level and temperament to work it out, you can go it alone and try a collaborative divorce. Not everyone who gets a divorce is in a nasty, argumentative situation. I have friends who drifted apart from their spouses, other friends whose spouses figured out at a later age that they’re gay, or couples who mutually agreed their relationship was no longer satisfying and to split. Even if there is some fighting and disagreement, you might find that it dies down when one person moves out and you have space, at which point, you could explore this option. Jason Brown, a lawyer who specializes in divorce and family law cases, says that the parties should think hard about whether it’s the right model for them. A collaborative divorce requires a “significant trust factor, and if one party is predisposed to scrutinizing whether or not the other party is being trustworthy and candid, it won’t work,” he cautions. If any abuse has been present in your relationship, this probably isn’t an option. Will you still need a lawyer in a collaborative divorce? If so, how do you choose one? Lawyers can be involved from the beginning, or you can consult with them on one or two sticky items as needed. This type of divorce doesn’t prevent you from retaining counsel if you realize that you need one later in the process. Having a lawyer on retainer to call with questions could give you some peace of mind. One important thing: if the collaborative divorce process falls apart and you do need to file with the courts, the lawyer who represented you during the collaborative divorce will not be able to represent you in a traditional divorce. You’ll have to find a new lawyer. What is mediation in a collaborative divorce? Mediation is another option if you hit a roadblock. A professional trained in conflict-resolution and negotiation skills, a mediator guides couples to an agreement. Mediators are often psychologists, or retired or currently practicing attorneys with knowledge of divorce law. A mediator won’t just help you reach an agreement; he or she will talk you through the implications of different choices and their possible impact on your postdivorce life. There may be legal complexities that neither of you has considered, whether good or bad. It’s also possible to have a lawyer present at mediation; in fact, it might be a good idea. “An attorney can make sure that you understand all that is being negotiated or agreed to, and that all angles and details of matters negotiated are covered,” says Springer, who adds that these agreements are quite difficult to change once signed. Brown noted that a nondisparagement clause is one of the most common clauses he adds in custody renegotiations when parties handled their own divorce because they simply didn’t think of it at the time. It’s easy to forget something. In my state (Minnesota), the divorce process has moved toward a more collaborative one in general, with two mediation sessions encouraged along the way to court. At the custody mediation session, called a social early neutral evaluation, the state requires two mediators, one of each gender, to ensure that there is no hint of gender bias in their recommendations. California, Vermont, Missouri, and more all have early neutral evaluation procedures in place. If yours is a state that has already worked to put a more collaborative model in place in general, a collaborative divorce might be unnecessary. How do you find a mediator for a collaborative divorce? Though you can search online for a mediator, Brown told me that attorney’s offices keep so many mediators busy that they often don’t need to advertise. If you didn’t bring lawyers in at the beginning, Brown suggests calling around to local attorneys’ offices and asking for recommendations. Given mediators’ full, busy schedules, it can take two to three months to find an open appointment with a mediator that works for both spouses, so start looking around early on if you think you might want to go to mediation. If it works, a collaborative divorce saves a Solo Mom money because you’re paying less in legal fees and court filings. As Brown puts it, “The more time you spend talking with the other side, the more you’re going to save in terms of fees and costs in the long run.” If the process fails and you have to start over with a traditional divorce, you’ll have to hire a new lawyer and begin again, which will up your costs in the long run. Just like there’s no way to predict if a marriage might end in divorce, there’s no way to predict if a collaborative divorce could end in a traditional, litigated divorce. That’s why it’s important for you to be honest with yourself as to whether or not you and your ex will really be able to negotiate and work together. As much as you may want the whole thing to be over, once the decision to divorce has been made, there’s no need to rush it. Take some time to think and evaluate your options. Whatever you decide to do, you’ll be grateful you took the time to explore every avenue on your path to a better life. Were you able to achieve a collaborative divorce? We’d love to hear about it!